Sixteen-year-old Zel moves back to Sydney, Australia, after spending eight months in New York. She misses Prim, her best friend and crush. Zel and Prim were working on their subway project, following the idea in Prim’s favorite book to ride to the end of every subway line in New York. But before they finish, something drives a wedge between the girls. The compelling and touching opening scene makes us wonder what happened between them. Meanwhile, Zel finds a new group of friends in Sydney: her cousin Antony and his Drama class buddies – Michael, Ashani, and Stella. The Sydney story is told in the present tense, interspersed with past tense flashback of Zel’s New York subway trips with Prim, as Zel reminisces while examining the photos she took at the time. The narrative is carefully timed to reveal what happened in New York just as Prim finally contacts Zel in Sydney. The author draws some nice parallels throughout. Stella’s story in Sydney mirrors Prim’s story in New York. In addition, as the Drama group works on a project centered on the theme of “home”, we see how Zel was uprooted just when New York started feeling like home, and how she is now struggling to make a new home in Sydney. In the end, she discovers that “home” is more about the people than the place. It’s great to read a book set in Australia and featuring places I know. Zel, as the narrator, is extremely engaging, speaking directly to the reader, and making you feel like you’re in the room with her, as she tells you her story. The writing is beautiful, heart-felt, and full of humor and astute observations. This is the first book I’ve read featuring gay girls, and the story highlights their difficulty distinguishing between friendship and romance. This is a wonderful coming-of-age story especially suited to young women struggling with their sexual identity. This book drew me in from the start. Something about Zel’s character is instantly appealing, whether because she is relatable or simply because she is unfailingly honest. Either way, I fell in love with her right away. The author (or is it Zel’s?) sense of humor is right in line with mine, and I found myself cracking up as a I read, which is definitely one of my favorite things about this novel. I absolutely love finding a character and story that I can connect to enough to laugh out loud even while I’m following them through a journey of self-exploration and discovery. As someone who grew up in a military family, I moved on a very regular basis, and this experience probably led me to connect with Zel in ways that some readers might not. 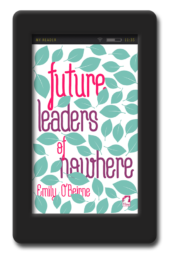 Even so, her heartbreak, confusion, and struggle to really find her place in her new home is something that most young adult (and even adult readers, who were obviously once younger) will find easily understandable. In fact, readers are likely to see some of themselves in this character. I also greatly value the fact that, despite being surrounded by deeply beautiful people and a supposedly glamorous lifestyle, Zel is quite normal. She is flawed, she is average, and she is very human. She easily fell into my list of favorite characters simply because she is incredibly real. I could picture her existing in every high school hallway or classroom. The story itself was just a little jumbled, as it bounces from present time to flashbacks, but I feel like this is necessary given the nature of the tale. Discovering oneself is a drawn out process. It doesn’t happen in a quick, organized manner, and our memories and past experiences are as much a part of it as anything. While I definitely loved this book, I do want to make sure any potential future readers take note of the LGBT tag associated with it. I don’t find this to be a big deal, and it isn’t really the theme of the story. It just so happens that Zel is part of the queer community. If that bothers you, please don’t dive into this and then complain about it. If, on the other hand, you are drawn to stories of growth and self-discovery, this is an excellent one! Even more, if you happen to be a member of the LGBT community yourself, you’ll see a true to life and very well-written example of that within these pages. As a side note, I find that I am still deeply devoted to determining whether the book that inspired the Subway Project is, in fact, a real book. I have this thing about reading books that characters talk about. So if you happen to know, drop me a message and tell me so I can find it! So, here I sit remembering when I didn’t enjoy narratives with repeated flashbacks and talking to the audience. 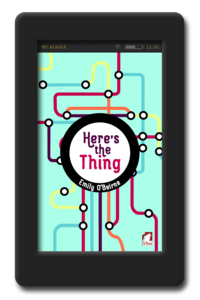 I do now after reading “Here’s the Thing” by Emily O’Beirne. I have to admit to being somewhat truculent in the beginning, as in, “don’t make me do this,” but I have a trust in Ms O’Beirne’s talent and stopped my whining and pursued on. As it turned out all these two perspectives required were a bit of fleshing out and I was all in. 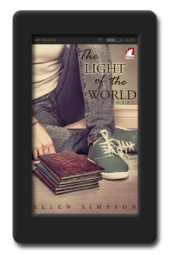 The story is about, and narrated by, a very well put together young woman who has just left a life in New York and is beginning anew in Sydney. This young woman is intelligent and perceptive and can communicate with herself very well. The perfect parents who are yet really too busy for Zelda to interact with are there though, when needed, and she really is this autonomous being at 16 which makes me very jealous. I had unstyled long hair and a peanut butter stain on my shirt when I was 16. I was clueless. This autonomous being still needs to learn what a young person needs to learn and cannot make major life-change choices on her own. I wish I possessed Zelda’s clarity of mind. I do on some occasions but it’s fleeting, usually only for an hour or so some mornings. So Zelda has heartache in her past, this New York memory, this mystery that is her best friend Primulka (I love the name) who she seems to have become lost with Zelda’s move to Sydney. That’s not quite right but no spoilers here. Zelda has no time to really dawdle about the past as she is quickly embroiled in the present as she is enrolled in a sort of dream school for creatives which challenges its students to really think. Zelda’s effort with this challenge was very well described. The language used at the very beginning introduces us to Zelda and she feels known to me. Her thought patterns and speech continue to refine the impression. This feels like a book that is almost too perfect with subject matter, vocabulary and flow. The only way I would even think a book ‘too perfect’ is when I think to myself as I read the thing, “oh my god this is too perfect.” It is really one of those “every word and every sentence” is so well chosen kind of thing. I didn’t find any flaws in the main character though which would be quite unusual for a 16 year old I should think. If Zelda does seem to slip for a minute she is very quick to right the wrong. There was no interpersonal drama with others besides the main mystery on which we can then focus. Also, this YA book could appeal to a wide range of ages, as long as the reader understands the import of the words within they should be fine. Any romance in the book was young and sweet. Zelda’s sexuality is downplayed and subtle not requiring any defensive posturing or secret keeping which is the way it should be. I became very interest in the character of Primulka and must try to imagine a story involving her. 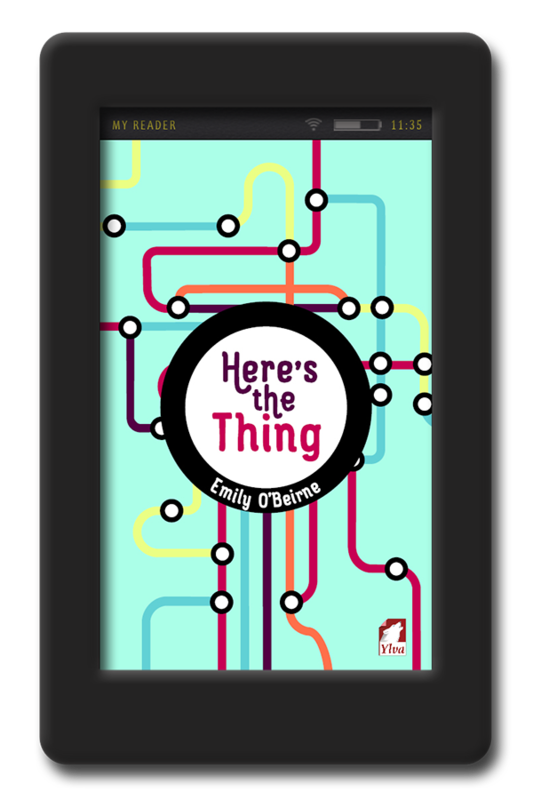 I loved the book’s title by the way as it is quite a thing in my family to say, “The thing is,” which must be a brother/sister of sorts to “Here’s the thing”. I don’t think one can go wrong with any of O’Beirne’s work. They are all delightful reads and she possesses great talent. Ok, this book is really really well written. It ia narrated by the main character and it mainly encompasses her past and present. I gave it 4 stars because it took me about 40% of the book to actually get into it. But then I will also admit that I would not have normally read this kind of book , but again saying that I’m glad I did. It’s more a teen coming to terms with her sexuality and how she integrates that into her every day life, fortunately she also has very liberal, understanding parents. The author has very obvious talent and an extremely challenging way of expressing that talent. Yes I would read this author again. It is definately worth the read. 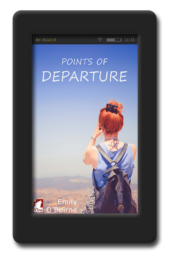 Because I read Emily O’Beirne’s Points of Departure and loved it, I was excited to read Here’s the Thing. I was not disappointed! In my experience, it’s hard to find wlw novels that aren’t exclusively about being lesbian or bi (Ylva’s actually a really great place to find books that break the mold), and it’s even harder to find YA novels where that isn’t isn’t the focus. Zel’s main conflict isn’t that she’s a lesbian; it’s that she’s a teenage girl who just moved across the globe whose best friend won’t speak to her. The fact that she’s a lesbian is important to the plot, of course, but it isn’t a driving conflict. What struck me the most about Here’s the Thing was its relatability. I haven’t been an Australian teen who lived in New York and then moved to Sydney, but I have been a lesbian teen who fell in love with her best friend and got her heart broken. Zel is funny and warm and mature without being completely grown up yet. She’s still figuring things out and it’s fun to watch her to it. I would absolutely recommend this book to teenage girls who love girls, as well as anyone else who wants to read a wholesome, uplifting story.